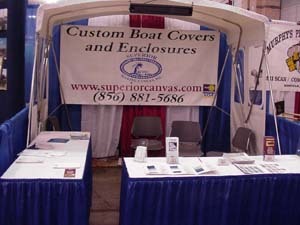 ﻿ Superior Marine Canvas, Inc.
Superior Marine Canvas, Inc. is a full-service marine canvas fabricator with over 15 years experience servicing the New Jersey, Pennsylvania, Delaware and Maryland boating communities. We specialize in customized solutions to your marine canvas needs and insist on quality throughout the consultation, design and installation phases of any project we undertake. © 2014 Superior Marine Canvas, Inc.